This chandelier 3d model will add a sculptural presence to your 3d interior with its 1970s inspiration design. Comes in format OBJ, FBX, MB. Emile Brass Vintage Bronze Chandelier from Restoration Hardware. 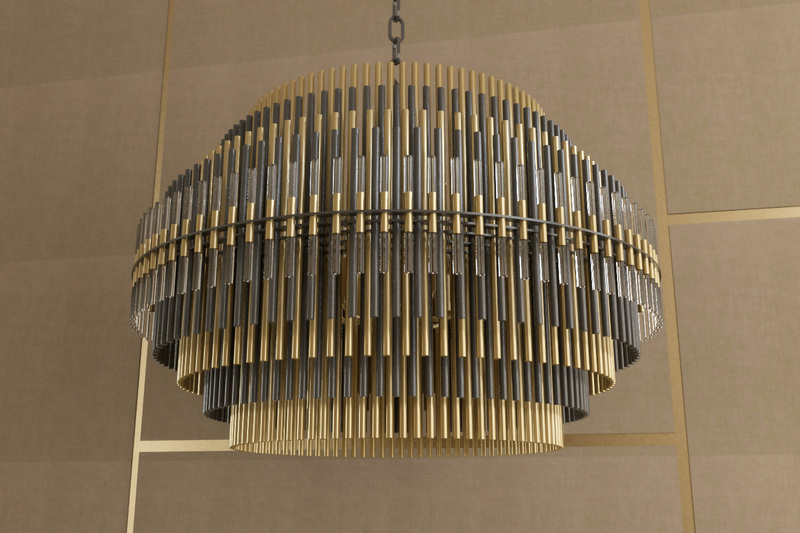 This chandelier 3d model will add a sculptural presence to your 3d interior with its 1970s inspiration design. It comes in format OBJ, FBX, MB. Shading groups included for an easy shading, Shaders and textures not included.